…at some point or another, we’ve all been involved in some sport where we should’ve worn protective clothing and a helmet- but did we? Now more than ever, we’re more active but also more likely to leave the protective gear at home. Why aren’t we wearing helmets? There are a few reasons for this first question: Firstly helmets are seen by most of us as a huge inconvenience. They don’t look good, they get in the way carrying them around all day and to be honest, no one else is wearing them so why would we want to? On the city streets, cyclists are constantly playing with fire, jumping in and out of rush hour traffic to get from A to B as efficiently as possible. Helmets aren’t seen as city chic and so many people leave the helmet, and the hassle they associate with it, at home. Meanwhile on the slopes, after some pretty high profile crashes in the news over the past few years people are definitely becoming more conscious of the risks of going helmet free. However, the desire to look the part and to still listen to music are primary factors in people not wearing their helmets. Ok, so no helmets!? What’s the big deal? Absolutely, and this is where Unit 1 comes in! This week we spoke with them to hear about their product, the SOUNDSHIELD. Firstly, we asked their CEO, Juan, what the driving principle in their vision was: Was it for making sport safety cool or was it for addressing the issues sport enthusiasts face with headphones when wearing helmets? And it turns out that their vision consists of a little bit of both. When talking to Juan it was great to hear his passion come through for the product the team is so dedicated about bringing to the market and I really got a great insight into their concept. He explained to me that music is becoming part of more and more aspects of daily life and action sports are not an exception. ‘Headphones are becoming more of a fashion accessory than being focused on functionality,’ he said, continuing that whilst this was fine for being sat at a desk or doing day to day tasks, it really complicates things for people wanting to listen to music whilst being active. 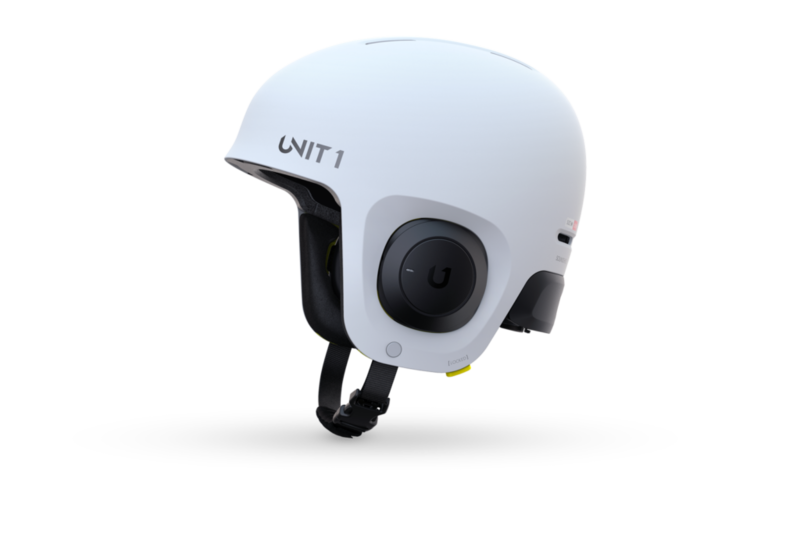 Now that the safety aspect of sport has become more important but the unimpressive and uncool look of helmets has stayed the same, Juan wanted to bring these two opposing factors together to build a marketable and useful product. Previous to coming up with the concept of Unit1, Juan was a product designer and lived through the issues when music and sport collided, he was sick of trying out different products where there was always something missing. 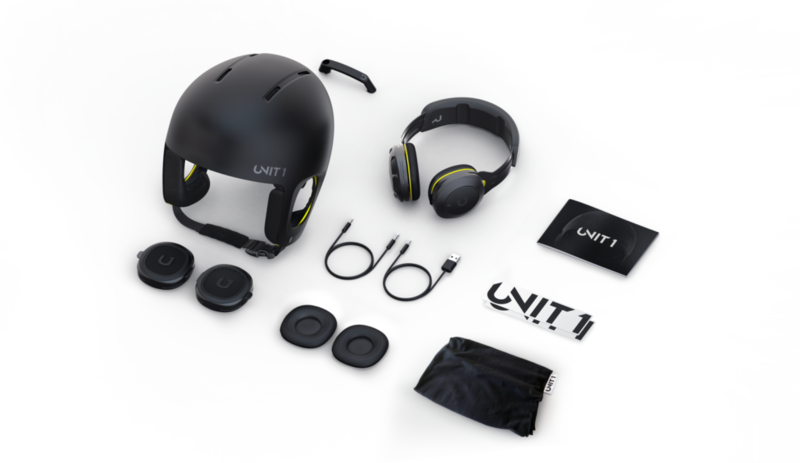 So, that’s how he decided to ‘create from scratch the absolute best way to combine music and action sports within a helmet.’ The product, he hopes, will make people wear a helmet when doing any kind of appropriate sport and will stop people ditching helmets for headphones. Is it necessary to listen to music and do sport at the same time? Well… no! But both being keen cyclists and skiers we chatted with each other about how there’s just nothing on the market at the moment which enables people to combine the two effectively. And, the really predictable but important question: What would you say to those who have worries about the safety of music in general whilst doing sport and creating a product which endorses this? People will continue to listen to music whilst doing action sports, ‘there’s no changing that’ says Juan, so Unit1’s drive comes from giving users an experience which puts both their safety and enjoyment first. ‘The problem with music on slopes isn’t the music, it’s bad interfaces of whatever product you’re using to listen to music through. It doesn’t have to be bad-just a little irritating and this can make a huge difference.’ He went through an analogy with me: ‘Imagine you want to talk to someone quickly or need to concentrate and want to turn your music off for a moment, you have to take your glove off, take your phone out of your pocket-messing around with a tricky zipper, you eventually get your phone out, have to press on the screen and then put it away again, fight with the zipper, put your glove back on and get going again…It’s exhausting just explaining it! And this definitely doesn’t work on the slopes, it’s annoying, time-consuming and can even be dangerous. Some people will just use the headphones for the hike up and prioritise the helmet on the way down. ‘For some people, they have no intention to ride with music on but just really like the look of the helmets.’ Juan told me that the product ‘is adapting to the user, in ways in which we never thought it would.’ Customers really seem to be putting their own spin on the product and making it work in their daily lives in the most useful way possible. This versatility is one of the things that makes the Soundshield special and unique. It gives all winter adrenaline junkies the ability to stay safe, look great and enjoy music all at the same time without compromising on anything. As with all new products, Juan told me that the team is at the start of a long and exciting process of developing new tech to always improve the user experience. The electronics based solution inside the helmet is an ongoing area of interest and it’s definitely going to be a part of a longer project. So watch this space! What’s the future going to look like for Unit 1? Right now the team is focused on the winter sports scenario, they’re constantly looking to refine and improve their product whilst also curious about how they can start adapting their ethos and model to the city. Juan explained to me that the company is taking one step at a time but after solidifying their position in the winter-sports market they are also wanting to branch out into the summer and water sports area, specifically in Wake-boarding and Kitesurfing. ‘Unit 1 is a process which has just begun’ Juan explained, but with summer coming up, they are keen to apply their same formula to other verticals such as urban landscapes. The team continued by explaining that for each scenario where the product could potentially be used there are also naturally a different set of requirements that come to be necessary. They’re working on isolating these requirements for areas as huge as motorsports and are excited about the progression and adaptability of the product. Do you wear a helmet? We hope that this week we’ve made you think about maybe picking it up on your way out of the door! Let us know! Make sure you check out Unit1 on their pages here and here to stay up to date with their journey and see the amazing products they’re working on. There’s one thing we can agree on, we’re pretty sure the future of action sports is helmeted…As long as the helmets are functional, cool and exciting.